Today, May 20, 2010, is a very special day for all Cubans. On this same date in 1902, the sacrifice of the long saga of the Ten Years’ War, resumed in Baire in 1895 and finally triumphed. Also successfully concluded on this date, the four uncomfortable years of U.S. occupation. Cubans were masters of our country and destiny, at noon was that unforgettable time when our national flag was raised on free soil. The Republic was born. Cubans elected, a democratic and sovereign exercise without precedent, their first constitutional president: the exiled Don Tomás Estrada Palma who succeeded Martí in his position as delegate of the Cuban Revolutionary Party. Now to build the country, a new republic, and set the country on the path of the free and civilized world. Something that, despite errors and mistakes, was achieved, until that March 10, 1952, when Fulgencio Batista, a very intelligent, opportunistic, and extremely ambitious sergeant, not only cut short the democratic process but led to the development of revolutionary terrorism, and the subsequent emergence of the cruel, ruthless, and inhuman regime that the contemporary era has known: Castro-communism. But fighting has continued. At 5:00 am on May 20, 1985, Cuban homes awoke surprised with an unbounded joy, almost like that of 1902: the broadcast was on Radio Marti. Soon the news spread like silent wildfire; no one could talk about anything else. Students were impatient to finish their classes and hear about things that they thought did not exist; housewives gathered to enjoy the soap operas, fans of major league baseball delighted in listening to games; many clubs were created to listen to that interesting program “The Art of Living” which was even offered as a subject to college students. The program “Early in the Morning” accompanied workers drinking their coffee before leaving for work. The island was revolutionized and filled with enthusiasm.What the people needed in their struggle — transparent and objective information to discern without dogmatism of information — had come. The official press, unable to interfere, tried to slander the so-called enemy radio, pretending to be offended by its bearing the name Marti, as if for them the most important thing was the Apostle and not breaking the censorship, be it Martí, or Maceo, Robespierre, Carlos Manuel de Cespedes, Alberto Guanterona, Bruce Lee or Abraham Lincoln, any name for them would have resulted in the same tantrum, because henceforth they would end the monopoly and manipulation of information for Cubans, with one radio, one newspaper, one opinion on everything that is published. But not only did the attacks on Radio Martí come from Castro and his lackey reporters. The dictatorship of Havana and millionaires with powerful resources, which need not pass any Congress or Legislature, began buying intentions, to manipulate personalities, so much so that some in the grand and hospitable United States have had the cruelty to propose ending this important news service. When I hear of this cruelty I am taken aback and do not try to attack, I say for reasons, which if I’m wrong please would someone do me the favor of proving otherwise. First: Radio Martí, like its counterpart Radio Republic, is a clear window of information that without emotionalism, radicalism, or fanaticism of any kind informs Cubans what is happening inside and outside their borders. Second: Radio Martí, without personally attacking political opponents, and with a surprising system of checking its sources, has been exposing the crimes of the Castro regime. Third: For Cubans who, for well-known reasons, have no access to the Internet or digital cable television and can only buy the official newspapers, their only opportunity is to listen to these “enemy” radios for information. Fourth: In the absence of stations such as Radio Marti or Radio Republic one would have to be very cynical or mean to not realize that ordinary Cubans would not know of the Ladies in White and their heroic struggle, they would not know what is happening in their own towns, even things right around the corner. Without stations like these the situation of our prisoners – the beatings and other mistreatment they receive – would remain within the four walls of the cell that imprisons them. To paraphrase Martí: “Those who pay more attention to the shade and the spots than in the light,” those who destroy from afar the source, have in Radio Martí a ghost that strikes back, that really hurts, that hurts the guilty and their accomplices. For these reasons, despite the enemies inside and out, overlapping or open, there is Radio Marti completing 25 years on the air despite attempts to silence it, despite the shady maneuvers to undermine its incalculable value. Radio Martí is there in its 25 years in spite of envy, despite the Machiavellianism of those who seek geographically far from the exile community. On Radio Marti and its programming is the effort of the beloved and unforgettable Mas Canosa, the Cuban-American congress and many others who despite being outside their homeland do not for a minute stop thinking about it and those who fight for freedom. Radio Martí exists and will exist as long as we Cubans have no voice and until freedom is achieved. Armando Sosa Fortuny, “Sosita” as he is affectionately called by his friends in the struggle, is an old man in prison, being 70 years old, and has been condemned to death, if we take into account his 30-year sentence. He suffers from chronic diabetes and cardiovascular problems. Almost no one in Cuba speaks about this situation, and to top it off, his name is not on the famous list of the 26 most ill political prisoners compiled by the Cuban Commission for Human Rights and National Reconciliation led by Mr. Elizardo Sánchez Santacruz. Furthermore, important groups and organizations in Cuba who claim to represent Cuban civil society, and even the forum of the Alternative Parliament, have not made any pronouncement about him. As I write these lines, I try in vain to recall some internal opposition organization asking the democratic authorities who visit the country to secure his release. It seems that the fact of not being one of Amnesty International’s seventy-odd prisoners of conscience conspires against the recognition of this courageous Cuban patriot, a comrade of Pedro Luis Boitel and Roberto Martin Perez in hunger strikes, beatings, punishment cells and forced labor during his long and difficult plantado* political imprisonment. Sosa Fortuny had left political imprisonment in 1979 after serving 17 years as a plantado. He went into exile, and returned in 1994 to join the struggle for the freedom of his country, having recourse to the strategy he still believed in at that time: armed struggle. As soon as he stepped onto the Cuban coast he was again arrested and sentenced to 30 years in prison, which he is serving with the same or more resolve, as he did his previous sentence. I cannot understand the reason for this unjust insensitivity against someone who more than once risked his life for the freedom of the homeland. It is painful for me me when I hear and see the campaigns conducted on behalf of Cuban political prisoners, out of concern for the state of their health: not just for “Sosita” but for other sexagenarians like Cecilio Reinoso Sanchez, Miguel Díaz Bauzá, and José Benito Menéndez del Valle, those whose age and conditions of captivity are synonymous with infirmity. Or also the cases of Rafael Ibarra Roque, Alejandro García Farah, Alexander García Lima – their names are conspicuously absent from lists and campaigns for release, even though those who put them together had prior knowledge of their situation due to the many years they have been imprisoned. Or the cases of Juan Luís Rodríguez Desdín and Ernesto Mederos Arozarena; these last two are prisoners of conscience involved in absurd ordinary criminal proceedings in retaliation for their democratic activism. 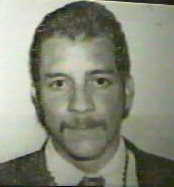 When I write of this situation my admiration and sympathy for exceptional men like Librado Linares García, Diosdado González Marrero and Normando Hernández González cannot but increase, whose membership of a prestigious group of prisoners does not deter them in the least from doing everything in their power to respect, recognize, and equally support each and every one of the political prisoners in Cuba without regard to absurd categorizations or selective criteria. Although I admire the important work of monitoring of political prisoners and their situations that Cuba-based organizations do, I would be remiss in my honesty and above all in the respect I feel for the brothers I left behind bars if I were not to categorize the message that some organizations send abroad from Cuba on such a sacred and serious subject as political prisoners as elitist, discriminatory and selective. José Marti said ” Truth is meant to be told, not obscured, and it will set you free.” That is why I put mine forward here; to omit it would be to betray not only to my imprisoned brothers, but myself. * “Plantado” describes uncompromising prisoners, unwilling to accept the terms or deals of their jailers. Days of Tribute to Pedro Luis Boitel, 2010: Boitel and Zapata Live! The Pedro Luis Boitel Political Prisoners Movement, as in previous years, calls on each and every organization of the internal opposition movement and the Cuban exile community to take part in the traditional Days of Tribute to Pedro Luis Boitel. As every year, the Tribute takes place between May 13th and 24th, the dates of birth and death of Pedro Luis Boitel, the martyr who died after 53 days on hunger strike in the Havana prison of El Principe on May 25, 1972. This year, the Days of Tribute to Pedro Luis Boitel will be the most fitting occasion to pay tribute to political prisoner Orlando Zapata Tamayo as well, who died in a Castro regime prison on February 23 of this year in the same way as Boitel. We who will participate in this patriotic commemoration, will also express our solidarity and admiration for the Ladies in White who, in spite of the brutal repression of which they continue to be made victims, undertake acts of true heroism and resistance in the streets of Havana for the liberation of their imprisoned relatives. Likewise, we also congratulate all the women of the Rosa Parks Women’s Movement for Civil Rights, the Eastern Democratic Alliance, the Camagueyan Union for Human Rights, the Central Opposition Coalition, the Orlando Zapata Hard Line and Boycott Front, the Democratic Alliance of Pinar del Rio, and the Orlando Zapata National Civil Disobedience and Civic Resistance Front and the rest of the opposition and dissident organizations who support freedom for the political prisoners and freedom for Cuba. 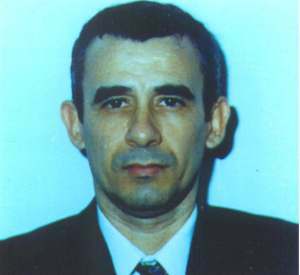 Jorge Luis García Pérez Antunez, National Coordinator of the Pedro Luis Boitel Political Prisoner Movement. Raudel Ávila Losada, National Vice Coordinator of Pedro Luis Boitel Political Prisoner Movement. Bertha Antunez, sister of the author when she still resided in Cuba. Tomorrow, Sunday, is Mother’s Day. This date, despite its importance and significance, will not bring me the least bit of happiness. Tomorrow, my house will have a giant sense of emptiness and sadness. I would like it if no one would visit me tomorrow, and hopefully the occasion will be mentioned to me the least bit possible. It is very difficult that it be so, because surely, in the first place, from her exile in Miami, Florida, my sister Bertha will call my phone to remind me that she is just like the mother that I lost. She will tell me everything that I already know, all that I have never doubted, that she adores me and that she wishes to be by my side on a day such as this one. Even if I would like to forget the date, I will not be able to stop thinking what the word “mother” means. Neither will I forget all the mothers who suffer, worldwide, the separation from their loved ones, whether it is by imprisonment, exile, or death. Tomorrow I will be alone in my house because my wife will visit her native home in Tuinicu to spend the day with her family. Like on other occasions, she would want to take me along but I will decline to go, for I do not wish to have my sorrow dampen her joy, or the joy of her Mom and her family, who are not to blame for my not having a mother. Tomorrow shall be a special day to thank God for remembering, in his grand masterpiece of creation, to make such an extraordinary being, who is my paternal sister Bertha Antunez, to whom I owe my life and my protection. She protected me from those who systematically picked on me and tried an endless number of cruel methods while trying to exterminate me, both physically and morally, during my long years of imprisonment. Thank God for giving me my beloved sister and for her strength, courage, and intelligence, and for her unconditional love and affection that prevented the henchmen from burying me in oblivion or silence. On this upcoming Mother’s Day, the Ladies in White will attend mass at the Church of Santa Rita de Casia and they will march through the streets of Havana. It is possible that during this specific occasion they will not be harassed by the pro-Castro mobs and that they will not receive the same rude offenses coming from the lowest element of our society. God willing, everything will turn out fine, without the least bit of confrontation. I hope that if this occurs, it is not naively credited to the obscure mediation of the sad and famous Cardinal Jaime Ortega y Alamino, nor considered a result of his perseverance. Surely, this time around certain guest correspondents in Havana will find this tolerance very convenient, not because of sensibility or because in their hearts they truly share the demands of these women, but because this Sunday they will avoid upsetting the authorities of the island on seeing themselves forced to film such scenes which are as bad as those from Mussolini’s Italy or the time of the truncheons of The Mariel Boatlift in 1980. One or another foreign reporter will try to diminish the achievements of the persistent bravery and sacrifice of the Ladies in White and to attribute it to the mediation of those who have demonstrated silence and deaf ears to the situation of the prisoners. With that opportunistic projection, those reporters would be overlooking the reasons for their claims. In other words, The Ladies in White do not fight so they can march or so that they can scream at the top of their lungs. Instead, their demands are bigger than that. 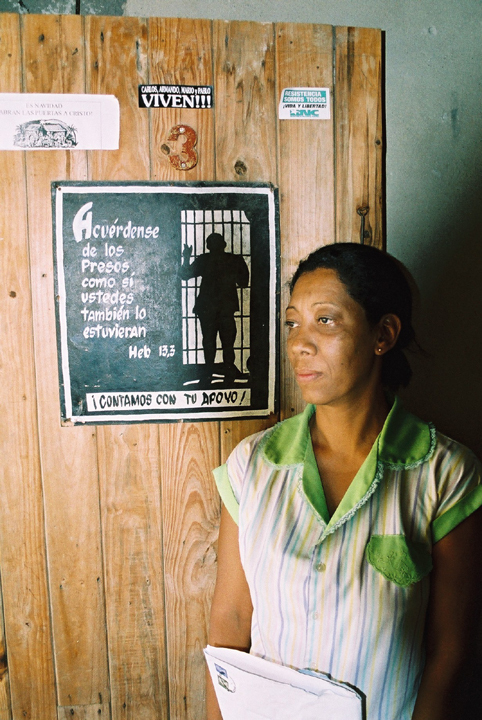 They want freedom for their imprisoned loved ones, a demand that the Archbishop of Havana and the Cuban Catholic hierarchy have never acknowledged. Asking the repression to cease the harassment for just a month and not forever is complicity as well as insincere and cynical conduct. Perhaps I am mistaken, and I would like to think, as do some of my other colleagues, that the hierarchy of the Cuban Catholic Church would take a more dignified and important role from now on, but I sincerely do not see the tiniest indication anywhere that they will do so. Tomorrow, Sunday, is Mother’s Day. The holiday, despite its importance and significance, does not bring me the slightest bit of joy. My house will be very empty and solemn tomorrow. I wish for no one to visit me tomorrow, and I hope that no one speaks a bout the occasion in my presence. It’s very difficult for things to be this way, for it is almost certain that from her exile in Miami, Florida, my sister Bertha will call and she will remind me that she is just like the mother that I lost. She will tell me everything that I already know and that I have never doubted: that she loves me and wishes to be by my side one day soon. Although I’d rather forget the date, I will not be able to help myself from thinking about the meaning of the word “mother”. Similarly, I will not be able to avoid thinking of all those mothers in the world who suffer under the separation from their loved ones- whether it be because of imprisonment, exile, or death. Tomorrow, I will be alone in my house because my wife will visit her native home in Tuinicu to spend the festivity among family. Like in other occasions, she tried to get me to go but I refused. I do not wish for my sadness to dampen their happiness- her mother’s or her families’- for it is not their fault that I harbor this pain of not having my mother. Tomorrow will be a special day to give God all my thanks for creating such an extraordinary being like my sister Bertha Antunez. I owe my life and protection to her, for she saved me from those who resorted to numerous cruel methods to try to exterminate me physically and mentally during my long years in prison. Thank God for giving me my loving sister, and for giving her the strength, values, and intelligence to prevent the henchmen who oppressed me from silently burying me in the past. On this Mother’s Day, the Ladies in White will assist a mass in the Church of Saint Rita and will march through the streets of Havana. It’s possible that in this occasion they will not be harassed by the pro-castro mobs or that they will not have insults hurled at them by the most despicable sectors of our society. I pray to God that they will march without the slightest bit of confrontation, and hopefully, if this does occur in this manner, it will not be attributed to the dark mediation of the solemn and popular Cardinal Jaime Ortega y Alamino, and not to the Ladies’ determination. Of course, this time around certain media outlets will be invited to Havana and such a level of tolerance will be very convenient for them to document. Not because of their sensibility or because they share the struggle of these women, but because this Sunday they will avoid upsetting the authorities of the island with scenes that will cause no envy of Mussolini’s Italy or the truncheons of El Mariel in 1980. A few foreign reporters here and there have tried to diminish the brave and resilient sacrifices carried out by the Ladies in White, and have attributed any changes solely to the mediation done with deaf ears and silence in regards to the prisoners. With such an opportunistic claim, those reporters simply portray the Ladies as demanding respect for themselves, so they could go out and march down the streets without repression, when in truth, the Ladies in White have been demanding more than that. They have been struggling for the freedom of their loved ones, a statement which the Archbishop of Havana, along with the rest of the Cuban Catholic hierarchy, have never demanded. Asking the repression to stop for a month, and not forever, is not only a sign of complicity but also a display of cynicism and insincerity. Perhaps I am mistaken, and I would like to think like some of my colleagues who believe that the Catholic hierarchy and church will, from now on, take a more important and dignified role, but truthfully speaking, I don’t see the slightest bit of incentive for this happening. Caption: The time when the PNR (People’s Revolutionary Police) and State Security agents dragged me to violently arrest me in Santa Clara. January 2008. Arrests and more arrests. Imagine yourself, dear reader, always having to go out with your cell phone primed to send a text message with the word “arrested.” But not only that. Imagine not being able to go out today wearing these clothes or those shoes, for fear of their loss or that those arresting you will ruin them. It’s aggravating to be violently arrested for the great crime of being in a market buying beans or cooking oil. Or, as on another occasion, while buying a pair of eyeglasses at an optician’s. And worse yet, not being able to attend the birth of a godchild because a security operation set up at both corners of the house will block your way. The same cars, the same Suzuki motorcycles, and the same faces during every trip, every stop; identical same faces, even on the buses we ride. Gladis, my wife’s mother, a physically-impaired elderly woman, will watch for the arrival of her daughter whenever she notices that this out-of-the-way place known as Tuinuicú has been practically overrun by members of the political police. The house where the people generously give us shelter when we visit the capital has been raided on countless early mornings by Villa Marista* agents to get us out of the place. The few times we have been able visit the U.S. Interests Section in Havana, the only place where we can browse the Web or send and receive emails, the activists who are there tell us of their concern and fear over the excessive monitoring and surveillance against us. 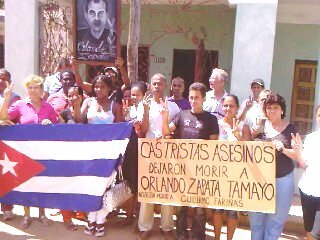 Recently in the town of Palma Soriano in Santiago de Cuba, the police, in their zeal to deport us, failed to respect the plight of the dying father of Raudel Avila by raiding his home to arrest me and my wife when we had gone there to show our solidarity with the ailing man. We know the climate of repression and arrests across the island against dissenting voices, but what is unheard of and unique in our case is that they openly tell us that each and every time we go there, we will be arrested. It does not matter if we go to visit a sick person, or if our trips are for purposes unrelated to the opposition. It does not matter that for each arrest the political police have to burn up gasoline to bring us back. “You cannot travel” – they tell us. Those are the orders. This situation, whether due to orders from political police headquarters at Villa Marista, or even to a disinformation campaign by some informer, demonstrates the obvious fear those who enjoy the power of brute force but who are ignorant of reason have of peaceful defenders of human rights. If this is not political persecution, and a sign of the regime’s weakness, someone please explain to me why not. If these circumstances are duplicated in any country in the world, I also hope you will notify me. *State Security headquarters in Havana. Formerly a Catholic boys’ school, today home of the Communist regime’s secret police. I am among the millions of Cubans who consider, either from personal experience, longing, or common sense, that now more than ever the solution to the Cuban problem must be enacted among Cubans; that is, among all those who form a part of this great nation called Cuba, in which those who are inside and outside have an equal share of participation and belonging, (I use the term “those who are” and not “those from the,” because the latter seems to me to be exclusive and very convenient for the regime). In the strength and sacrifice of our compatriots is our destiny. The success, delay, and even the key to our efforts depends on our future actions. But also, today more than ever, international solidarity and a coherent and firm policy against the tyrannical regime in Havana is important. The European Parliament has been clear, just and forceful. It is hoped that the European Union, when they meet soon, will be the same. From the Spanish Socialist government, nothing can be expected. Hopefully the Obama administration is now convinced that conciliatory policies and rapprochement with totalitarians are unfruitful. God willing, and why not, may the Florida electorate allow that great Cuban and friend of Cuba’s liberty named Mario Díaz-Balart to be re-elected as a congressman. Although the cause of freedom in Cuba is neither Democratic nor Republican (because both parties contain important friends and allies) the important efforts of and results achieved by brothers Lincoln and Mario Díaz-Balart in the US House of Representatives with regards to the freedom of their homeland are no secret to anyone. They have shown support for and closeness with their brothers inside Cuba, and above all they have maintained a firm policy, without mincing words against those Caribbean tyrannosaurs.